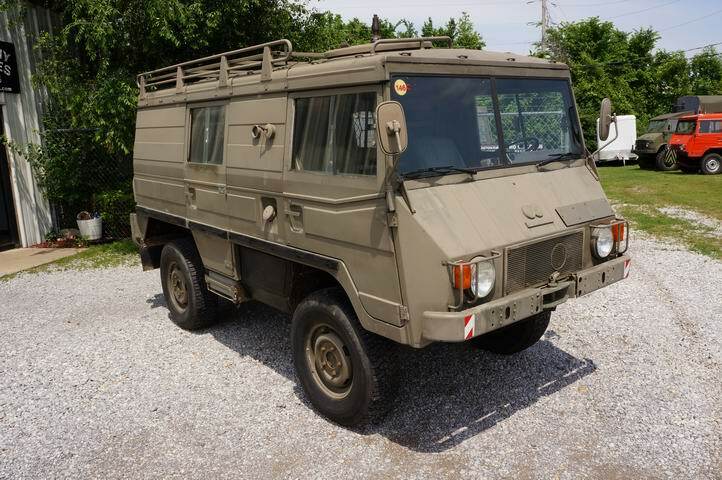 Here’s a 1974 Pinzgauer 710K radio truck for sale that started its life in the Austrian army. The ad states that the truck was restored, and treated to a new body, by Steyr Puch in 1996. The truck also includes an Espar heater, a heater independent of the engine-based heater system. 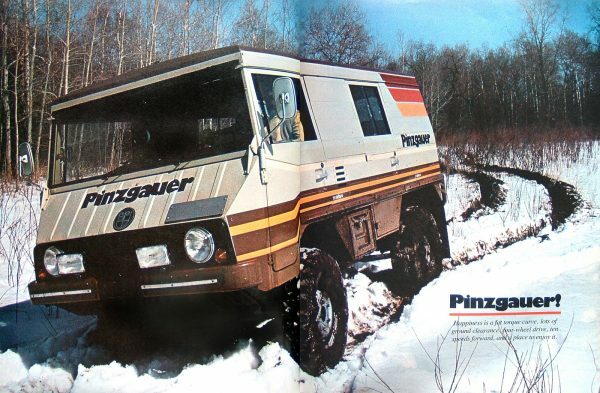 Pinzgauers have centrally located, air-cooled, 4-cylinder engines, locking differentials front and rear, and portal axles for increased ground clearance. The truck is offered for $24,900 by Swiss Army Vehicles in Fayetteville, Arkansas. 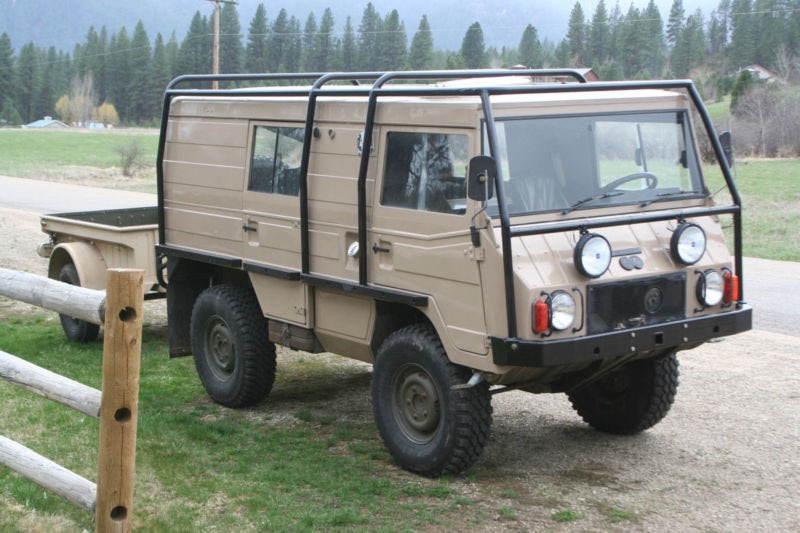 If you hurry, you can still grab this 1971 Pinzgauer 710K off of ebay. It’s a claimed 21,000-mile barn find. The seller writes that it was imported from Switzerland, upgraded, and put away, but not without being run once a month. Sounds ideal. Do the goods live up to the story? You won’t even have to drive to Idaho to check. The seller says he’ll drive it to you (up to 2,000 miles). You know the rest of the details: 2.5-liter, 90 hp, gasoline engine; 5-spd, manual transmission; 2-spd transfer case; and portal axles. As I said, the truck is located in Idaho. Bidding currently stands at $14,600 with less than 24 hours left on the clock. Update 4/28/2013: This truck sold for $20,100. Here’s a nice tour of a Pinzgauer 710K. The 710 has the same wheelbase as a jeep but seats seven!